A. What do they do on the Internet? Tick (✓) the related boxes for each person below. B. 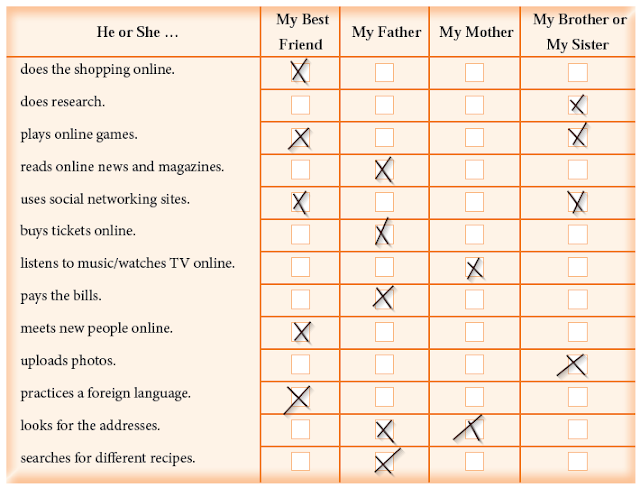 Now, write about the Internet habits of the people in Part A. Use “and”, “but”, “so” and “because” while you give information about them. Follow the example.